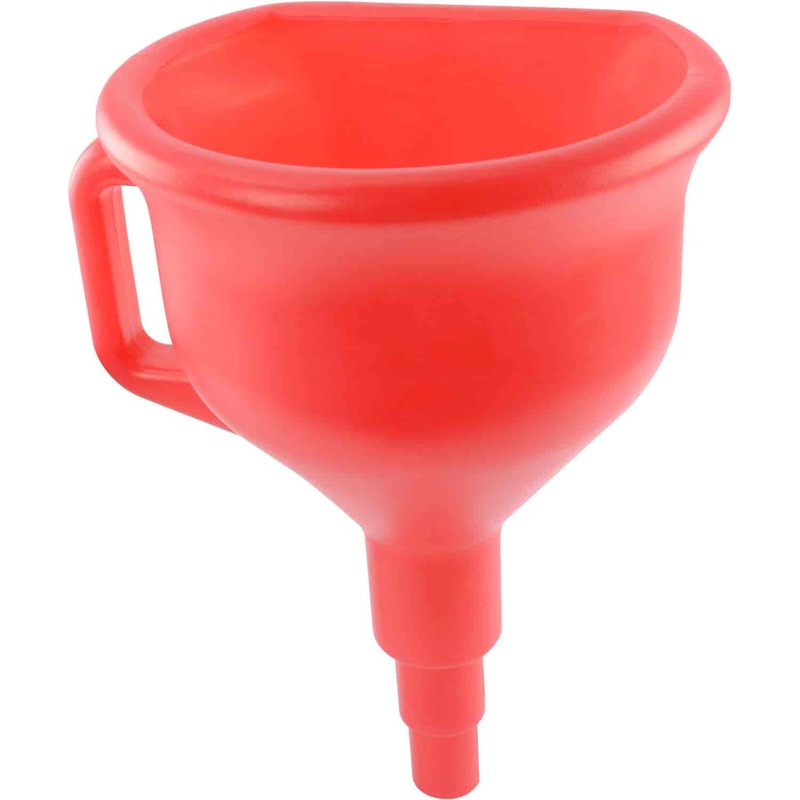 JAZ Products 550-014-06 - Triangular Funnel 14"
JAZ Products 555-011-06 - Round Funnel 11"
JEGS large, easy-grip funnel allows a steady pour while the built-in splash ring keeps liquids off you and your ride. Add a stainless steel screen to filter contaminants (sold separately). 80205 is rated 5.0 out of 5 by 3. Rated 5 out of 5 by Jack Venturi from If you need a good funnel, this is it! This funnel is huge so you don't have to worry about missing the funnel and making a mess. Also, with the anti-splashback lip, you will not have any fuel splashing back at you. Is it long enough and skinny enough to fit in a regular vehicles gas tank ? Yes, this will fit most fuel filler openings.